The 100-mile White Rim Road loops around and below the Island in the Sky mesa top and provides expansive views of the surrounding area. Four-wheel-drive trips usually take two to three days, and mountain bike trips usually take three to four days. Tour Duration: This tour can be enjoyed over 3 days with two-night stays and offering plenty of options for Camping and Lookouts. 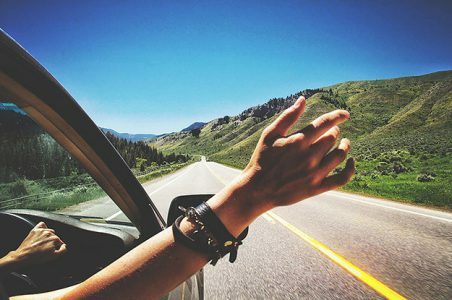 Best time to travel: Avoid travelling in Summers(May and June) as the temperature is very high and with dry weather, you would feel very thirsty. 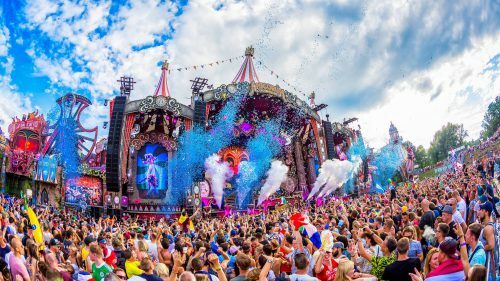 Best time to travel are spring and Autumn. Winters can be a good time to see the Valley painted white with snow. Car Recommendations: Being a rugged drive the best-suited vehicles are 4X4 Vehicles. A good truck or van would be great for travel. Local Language: All signboards are in English and signboards are in English. The United States is a Right-hand Drive country. 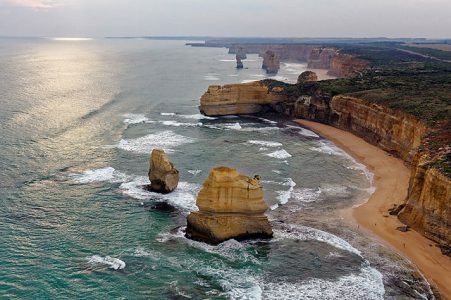 Speed Limits between 60-110 Km/hr on most of the Great Ocean Road and some Avis cars are available with speed limit indicators. License Requirement: Indian Licence is acceptable in the US if you are a visitor, but you must accompany it with a Valid passport. Tolls in the US are mostly automatic and e-tag cards are already installed in all Avis cars. This park contains more than 2,000 natural arches—the greatest concentration in the country. It’s Arches National Park’s juxtapositions that stop you in your tracks: height and balance; coarseness and curvature; huge slabs of stone suspended in the air. 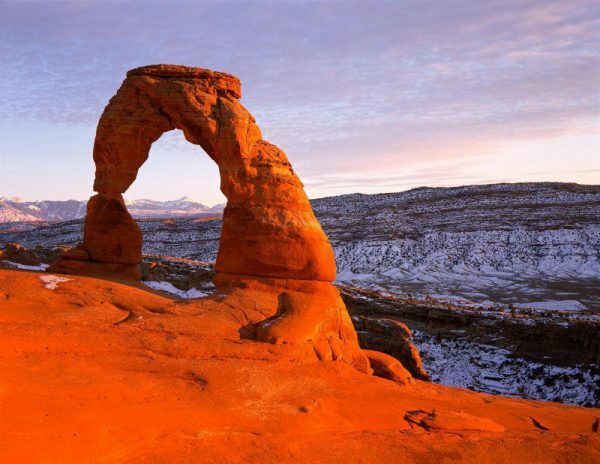 Located just 5 miles (8 km) north of Moab, drive the Scenic Drive and hike some of the longer trails in the park, such as the trails to Double O Arch, Tower Arch, Delicate Arch, and Landscape Arch. An 18-mile paved scenic drive leads to all the major viewpoints and trailheads within the park. 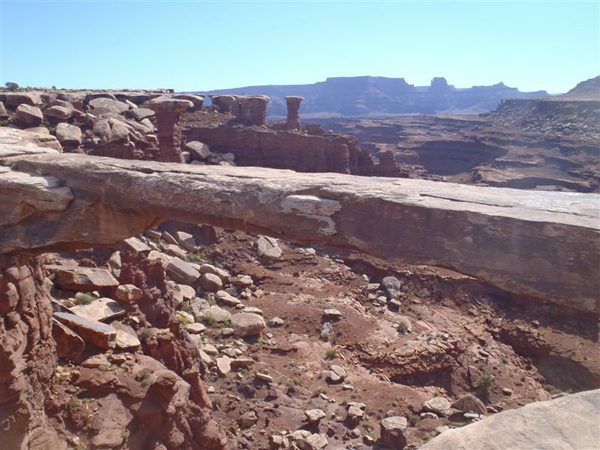 With plenty of places to stop – La Sal Mountains Viewpoint, Courthouse Towers Viewpoint, Balanced Rock, Windows District, Delicate Arch Viewpoint, Fiery Furnace Viewpoint, Skyline Arch and Exit Path, you can enjoy the brilliant artistry and majesty of Arches without having to leave your vehicle. While technically it’s a bridge (and was known as “Little Bridge” in the past), its popular name today is on a local resident well-known for exploring the region around the bridge. It’s five feet thick, six feet wide, 187 feet long and 300 feet down! There are rumors that bicycle riders into the Canyonlands sometimes enjoy a brief jaunt across this fantastic formation. Accessible only by a rough dirt track, it is best reached by a high clearance vehicle, but can also be seen via biking or a long hike. It is quite an experience to walk across the narrow arch. Undoubtedly, one of the coolest features of the whole trip the arch is overly huge but you can climb on it and take great pictures of the canon and vistas around it. This 3-mile road descends steeply through the canyon and ends at the Colorado River. 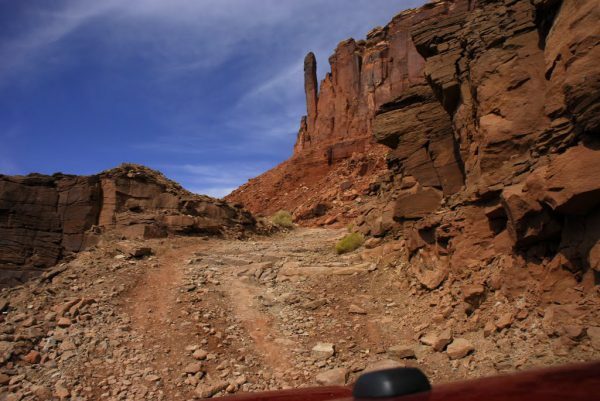 This road is less maintained than the White Rim but is a fun adventure in your jeeps. Parts of the road follow a sandy wash that leads into Colorado but if you make it there it is a great spot for lunch. This is definitely a worthwhile side trip and is the only part of the trail that provides access to the Colorado River perfect for a much-anticipated swim. 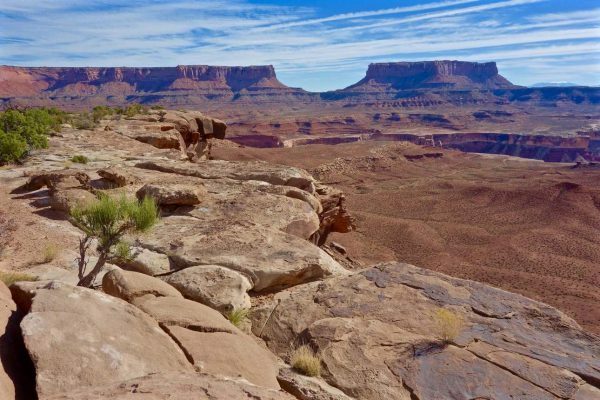 The Murphy Trail runs across the open prairie on the Island Mesa before dropping into Murphy Basin and looping through a desolate backcountry wash and open brush flats linked by White Rim Road. It features a continuous vista into immeasurable Western reaches. You will want to go where your eyes take you but much of this vast tract of land is impenetrable. The power and sublimity of this landscape will ignite desires that will never be answered. You can enjoy diverse terrain and exceptional views over Murphy Basin, Soda Springs Basin and the Green River from high points along the trail. 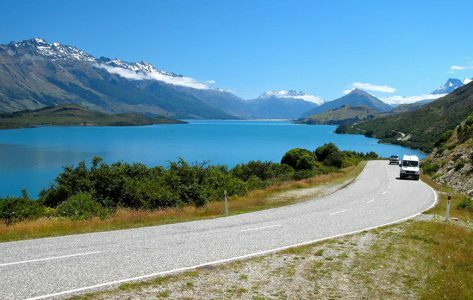 Expect a very steep, grinding climb to the top of the pass. There are great campsites to be had right on the rim. It’s a short distance between Potato Bottom and Hardscrabble with a big loose, technical climb in between. This is where it’s obvious that a 4WD drive support vehicle is necessary. The campsite is tucked to your left on the riverside once you reach the bottom. If you stop about halfway across this section you can get binoculars and look back towards Fort Bottom. With a good eye, you can see the cabin and Indian ruin. The views from the top of the hill are gorgeous. After dropping off Hardscrabble Hill you will be at the Hardscrabble camps which are a great place for a picnic. 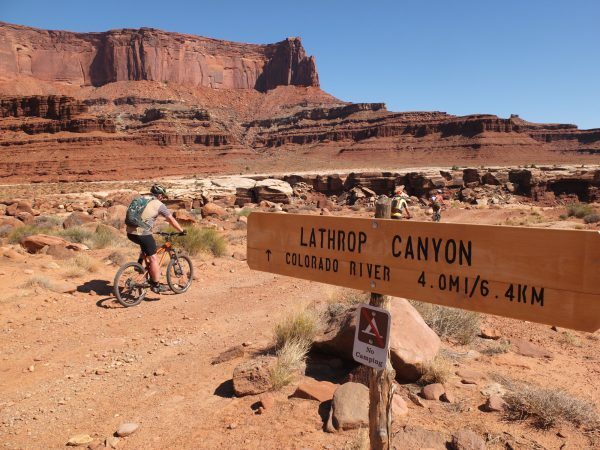 Bicyclists and four-wheel drivers must stay in designated campsites. There are 20 individual campsites arranged in 10 camping areas. There are toilets in each area. When there is more than one campsite at a location, they are generally positioned to be out of earshot and, as much as possible, the sight of each other. Each campsite accommodates up to 15 people and 3 vehicles. Campfires are not permitted. There is no potable water along the White Rim Road. For mountain bike trips, we highly recommend a four-wheel-drive support vehicle to carry water and equipment. The only water source available on the route (waypoint on GPS map above) is the Green River which is very silty and needs filtering. During wetter times, there may be water available in puddles on the rock mesas. If intending to stay more than one night, caching water is recommended. The National Park Service recommends 1 gallon of water per day. During the high season, there may be options to beg water from tour guides and jeeps along the way, but don’t depend on it. 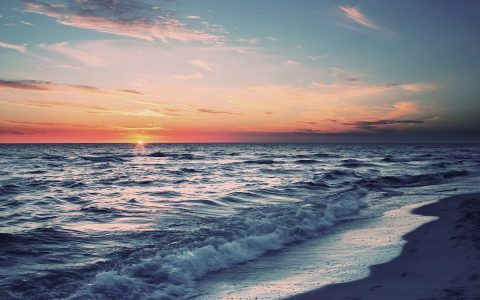 5 Getaways near Chennai that are perfect for a weekend road trip! Email Enter name ! Enter valid email ! Booking Number Enter booking no !